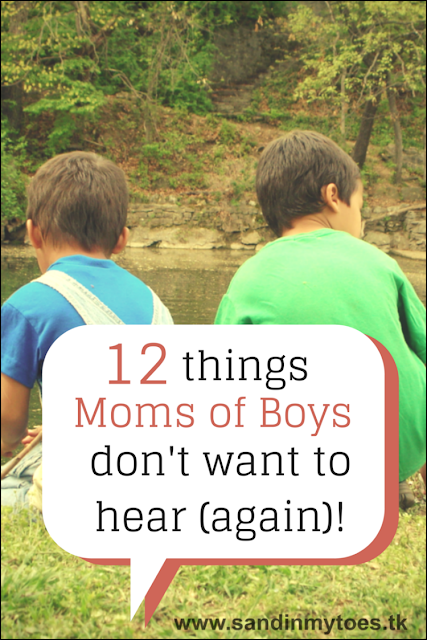 12 things moms of boys don't want to hear (again)! Being the mother of an only son, there are some things I hear often from people - parents and non-parents alike. I know that many people don't mean any offence, but it's funny how quickly they jump to certain conclusions just because I have a boy. More so, they feel like they have to say them out loud. Is it gender stereotyping? Maybe. I'm sure moms with only girls would have their own peeves (I'd love to hear them!). But having only experienced raising a boy so far, I thought I'd share the things people say often to moms of only boys. They may seem harmless at first, but after a while of hearing them over and over again, it just gets annoying! 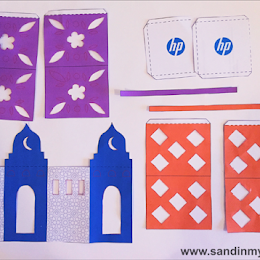 I also asked a few other mom bloggers to chime in. 1. Now, you should have a girl! Uh, thanks for the suggestion. I think I want to concentrate on raising this child now. And I don't remember mentioning if I wanted another child. And if I do, it's really okay if it's another boy. I can live with that. 2. How do you manage to keep the house clean? 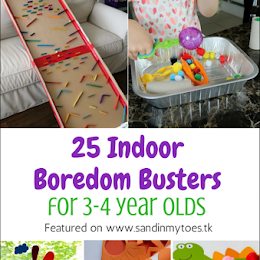 So, because we have boys means they should be messy and our house should like a tornado hit it? Au contraire, my son is actually better at cleaning up than even I am! Every child is different, boy or girl. And all kids are messy, by the way. 3. What does he want to be when he grows up? This is not to say that girls don't get asked this question, but with boys it is always asked. It's like they are expected to show career preferences from kindergarten. It's not like he has to leave for college tomorrow. 4. It must be so tiring for you. Having any kid is tiring. Just because I have a boy doesn't in any way mean that I am more tired. Little boys and girls have the same level of energy - look around in any playground! 5. It's okay, he's a boy! One thing which really bothers me is when I talk about struggling with power issues or discipline, and I am told this. By being a 'boy', I cannot let my child off the hook for undesirable behaviour. This is probably gender stereotyping at it's worst. We simply cannot let boys get away with things as if they are somehow incapable of adhering to rules. 6. Boys will be boys. "I'm tired of hearing this! NO, I don't have to expect that from my boys." 7. Oh, he's such a boy! "No. He is intelligent, funny, creative, adventurous, curious, kind, sweet, exuberant... None of those are exclusive to 'boys', and calling him 'such a boy' whether meant well or meant ill is not seeing him as a person. Both my boys are individuals." 8. Three boys? Poor you! "I really don't like to hear this. Because that is just rude." 9. You have your hands full! 10. Are you going to try for a girl? "Nope, our family is complete (and perfect just as it is)!" 11. I bet you can't wait for a girl! "After five boys what I hear is this, or 'Are you hoping for a girl?'" 12. You finally got a girl. "Like my boys aren't good enough. I love my baby girl but I wanted all boys. and that comment hurts like I was only trying for a girl and the rest of them don't matter." Yes! Especially "he is such a boy", "Now you need a girl", "Boys are just active". Ugh it makes me so mad. I'm not sure if I should be offended by the comment or that is just what people say to moms with boys. Glad I'm not alone! 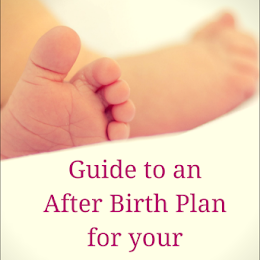 Haha we get asked a lot whether we're going to have a girl. As if that can even be guaranteed! Boys will be boys... that one I get all the time!! It insinuates that they are out of control little beasts that don't need to mind anyone, or that they are rough and tumble and don't play by the rules. Not MY BOY. I guess people say these without giving it much thought, but it would be so much less annoying if they just kept quiet! Exactly! They definitely don't have to be rough and tumble. I know girls can be aggressive too. Thank you for your kind words, Clare! It's the stereotyping that really bothers me. Yes, we hardly have a choice! I already started nodding at point 1! Why are moms of boys made to feel so inadequate for not wanting to have/having a girl? It truly boggles my mind! That's the most annoying of all phrases! 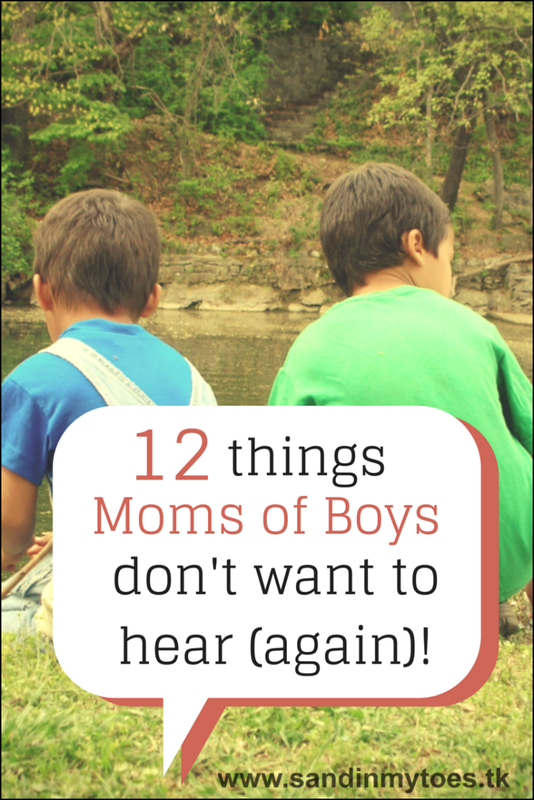 I've always disliked the "boys will be boys" phrase... And definitely agree with all of these! A cool party at Splash Pad Dubai! Play time at Fun City! Seven ways newborns are better than toddlers!